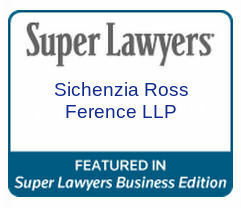 “We are very proud to be recognized as the most active issuer counsel,” said Gregory Sichenzia, founding partner of Sichenzia Ross Ference Kesner LLP. “These rankings reflect the continuation of our commitment to excellence through servicing the needs of public companies, their investors and the financial services community.” The rankings were compiled by PlacementTracker, a provider of data and analysis to institutions in the PIPE and private placement markets. PlacementTracker’s dynamically updated League Tables are available online at http://www.placementtracker.com/lhttps://www.prnewswire.com/news-releases/placementtracker-publishes-2017-pipe-and-private-placement-markets-league-tables-300583577.htmleaguetables.cfm.